Here at Overends Blinds, we understand that technology can make everything in homes smarter, easier, and more convenient. We are proud to announce that we are now suppliers and fitters of Senses wireless, motorised roller blinds and vertical blinds. As their name implies, Senses motorised blinds open and close via a motor, which means you don’t have to fuss with lift cords, chains, or even cordless solutions. All our motors are battery operated and only need charging on average, every 6 months. Motorised blinds are a fresh innovation that offers luxury and convenience for an affordable price. 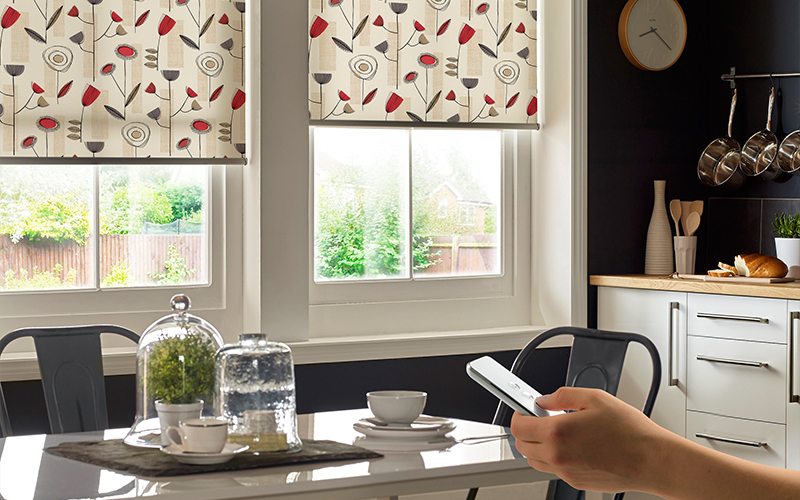 Motorised blinds let you filter how much daylight enters your home or office and maintains your privacy, all with the push of a button. Motorised blinds have always been classed as a premium product, an extravagance beyond the reach of most. This is now a thing of the past. 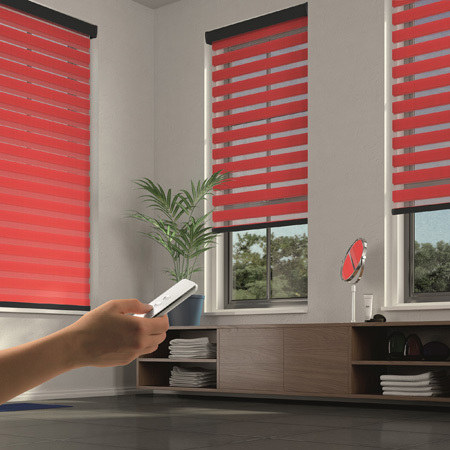 We have affordable motorised blinds solutions for every requirement. With a huge selection of fabrics and patterns, our motorised blinds range are the ideal choice for creating a modern and beautiful room.